Spa massage that is absolutely indispensable for healing of fatigue from a trip! Speaking of Cebu Island, "Clean Sea" and "Marine Sports" is a milestone. If you travel in the resort area, expect a “Standard Spa and Massage” that is truly remarkable in the city. If you seek healing from your trip, you can’t skip a massage! 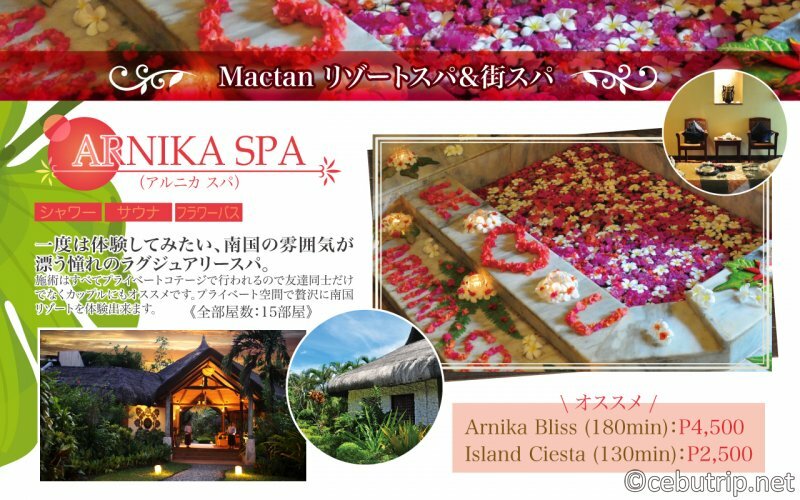 We familiarize and present to this article the suggested spa’s in this period separated into different types. "Mactan Island" is an area where many resort hotels are lined and tourists are swarming. The spa’s that we are about to introduce are found in resort hotels that can be used by anyone other than hotel guests! Experience the ultimate remedial massage which can only be provided by these luxury spa’s. 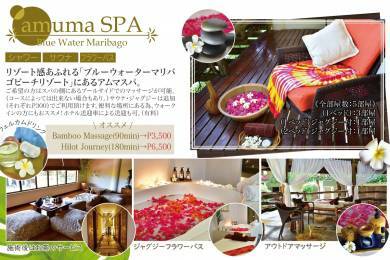 Amuma Spa is located in "Blue Water Maribago Beach Resort". Sauna and Jacuzzi can be used by adding P300 each. Enjoy a moment of bliss at the Nouveau Spa in Solea Hotel, where a private spa pool is available. The elegant atmosphere is based on white and brown. It is outstanding that spa guests can use the "exclusive pool" for free, which can’t be used by ordinary guests. Showers and towels are also available after using the pool. Hotel guest gets "40% discount". This spa only use organic ingredients and 100% natural coconut oil for massage. For facial care, they use "BIODROGA” (made in Germany), a popular brand in Europe with a good skin-care effect. And for foot wash, they use sugar that is gentle on sun-baked skin. Transfer is also possible within the neighboring area. Hotel guest gets "20% discount". 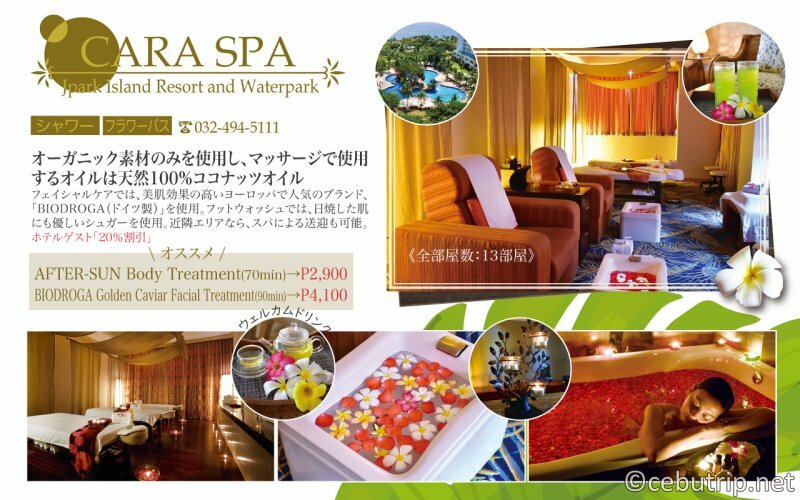 For reservations and inquiries to CARA SPA: "032-494-5111"
The spa is located in Pacific Resort, which you can use along with the day use. All five rooms are completely private rooms. Guests of the hotel can enjoy in-room massages, and if desired, "beach massage" are available at no additional charge. 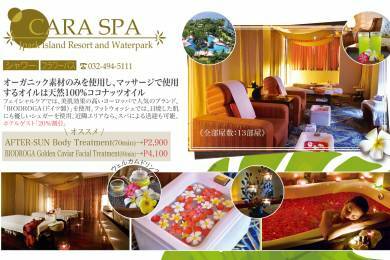 Recommended by PCR THE SPA! 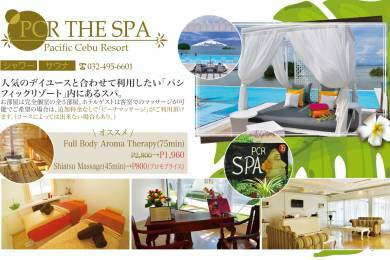 Transfer: Yes "Mactan P900 / Cebu P1500 (one way)"
For reservations and inquiries to PCR THE SPA, please call "032-495-6601". Of course, there are various types of spa and massage shops within the nearby cities aside from "Mactan Island". We present the hotel and spa which is recommended to all invitees that stays in "Cebu city or Mandaue city". 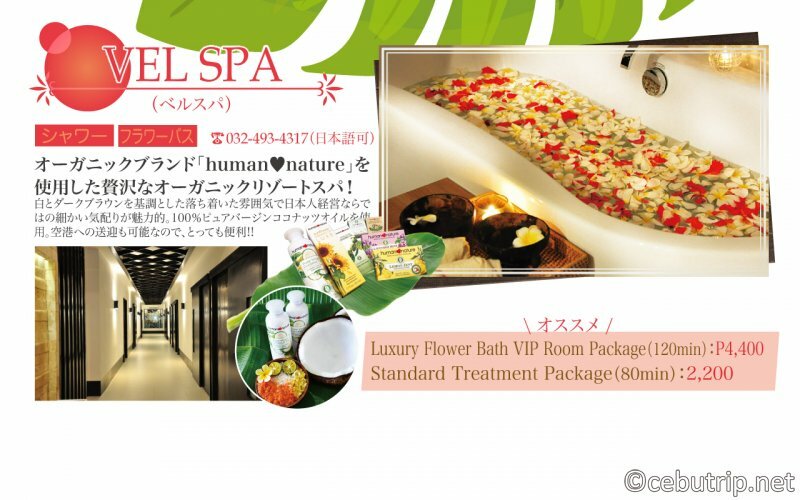 Relax the tiredness from a long trip at the Nikkei Spa in the stylish and modern bai Hotel on the 6th floor. 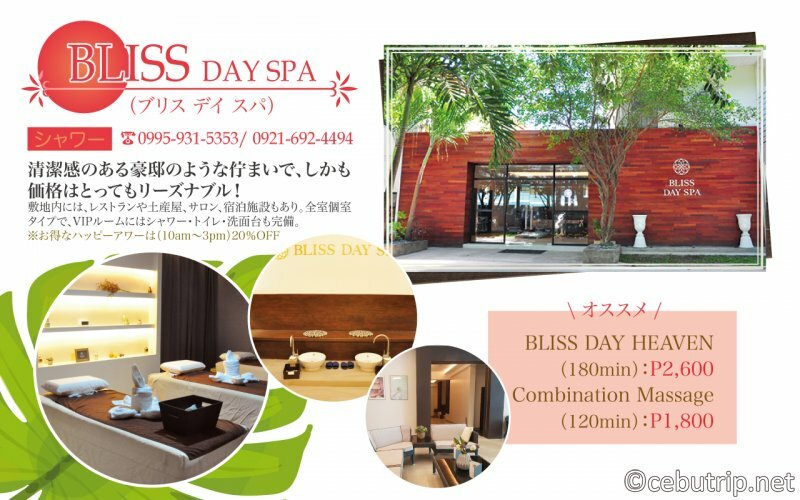 Providing Japanese-style facility and services with detailed consideration and attention, such as large beds for men. The spa has a calm atmosphere and a sense of cleanliness. What makes it more overhead is that the skills of the therapists are high. 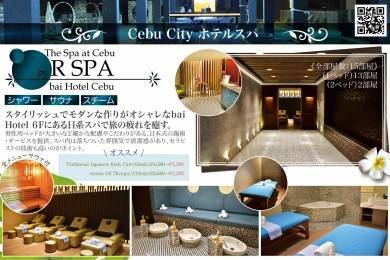 For reservations and inquiries to R SPA "0995-566-0124 / 0956-055-0339 (Japanese)"
So far, we have introduced "Spas in the hotel", however there are more spas that are sprinkled all over the city of Cebu. Spas scattered around the city have many luxury spas as well as hotel spas. 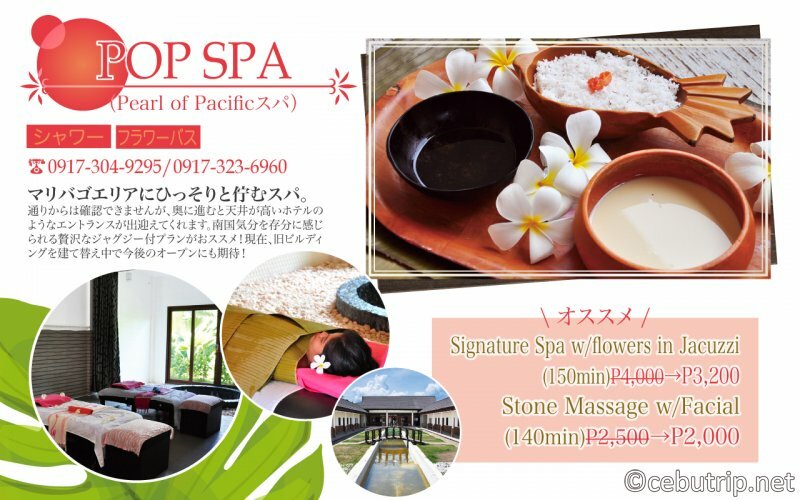 Very convenient because there are many spas that can be selected. A luxury spa with a tropical atmosphere that you want to experience at once. All handlings are done in private cottages, so it is recommended for not only friends, but for couples too. You can experience the tropical resort in luxury private space. An exotic atmosphere that blends a palace-like luxury with Asian taste. Inside the spa there is a native bungalow where you can feel the southern country. 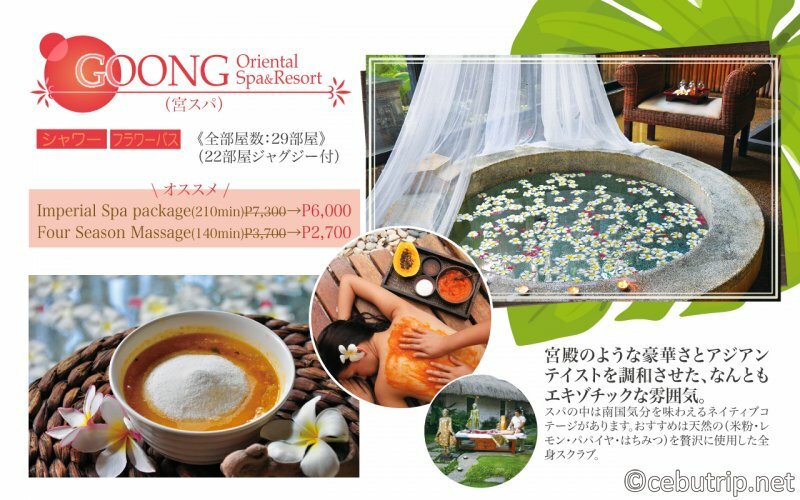 We recommend the whole-body scrub which they use naturals (rice flour, lemon, papaya, honey) for extravagance. 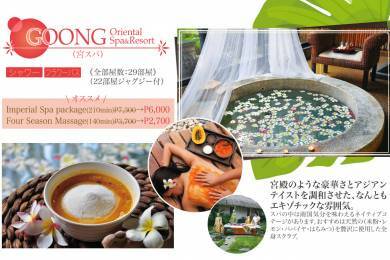 For reservations and inquiries to GOONG Spa, click here. You can choose from three kinds of package. You can choose from 7 types of oil to use, and you can also use a flower bath. 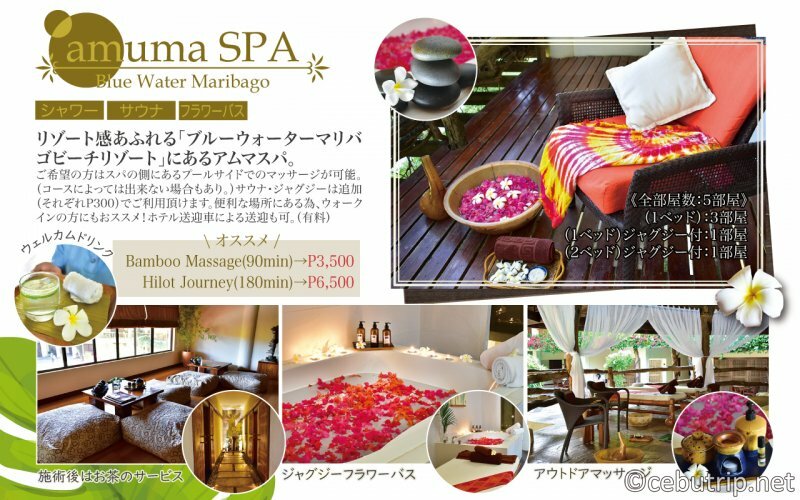 A spa with massage that is particular in natural materials such as “Gassoul”, “Rice”, and “Tuba Tuba”. The popular Gassoul, also called Cleopatra Massage, is a precious clay mined from the "Morocco Atlas Mountains" to give elasticity to the skin, removing wastes and regenerating the skin. 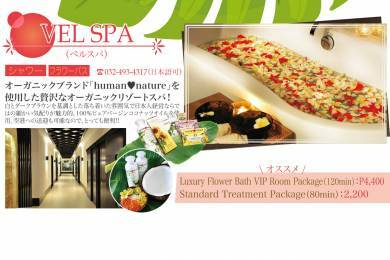 A great luxury organic resort spa using organic brand "human ♥ nature"! The fine atmosphere is unique and is under Japanese management in a calm environment based on white and dark brown. They use 100% pure virgin coconut oil. Also, transfer to airport is possible, it is very convenient! 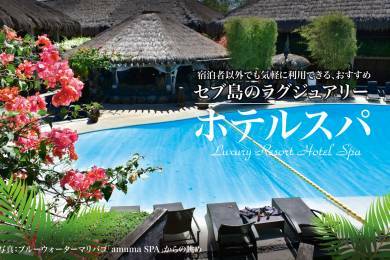 A spa quietly located in Maribago area. The place is quite distant to the street so it contributes a very noiseless sensation to your massage. The entrance is similar to hotels with high ceiling. The other building is under construction to give you more facility and space. We would recommend a plan with a luxurious Jacuzzi that can completely fulfil the southern country sensation! It looks like a luxury home with a sensitivity of cleanliness, bright environment and unique style of atmosphere yet the price is very reasonable! There are also restaurants, souvenir shops, salons and accommodation facilities on site. All rooms are private and the VIP room also has a shower, toilet and wash basin. 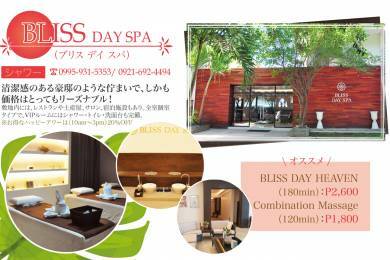 Recommended by BLISS DAY SPA! 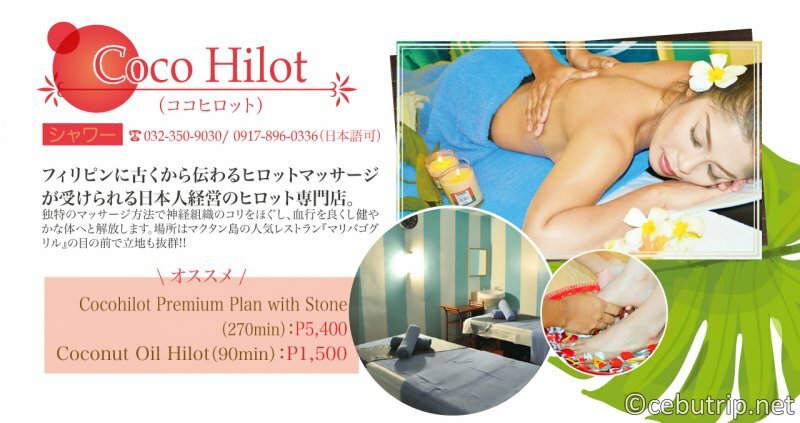 A Japanese-owned Hilot specialty store where you can receive hilot massages that have long been known in the Philippines. A unique massage method is used to relieve nervous tissue stiffness, release circulation to a healthy and vigorous body. The location is excellent in front of the popular restaurant "Maribago Grill" in Mactan. 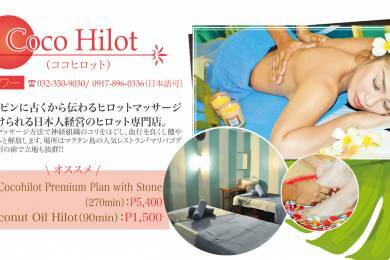 We commend the "premium package" where the subject is "ear therapy" and "stone massage" originated together. 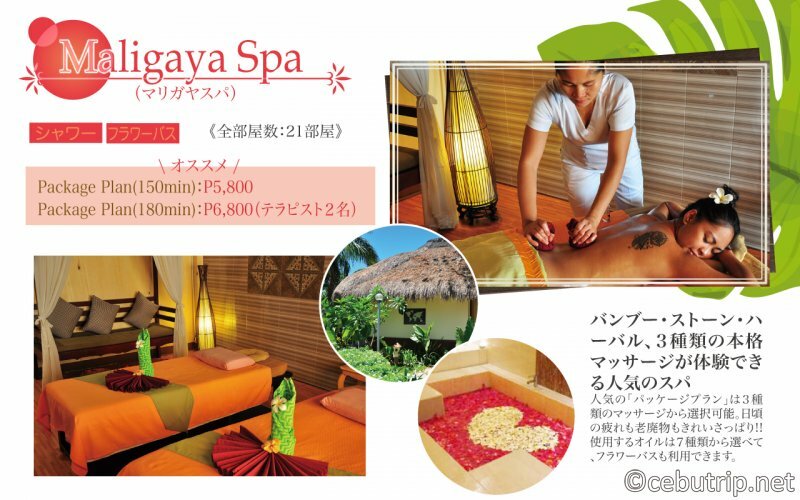 There are also various plans such as the combination of dry and aroma massage! Moreover, nails and wax can also be done at reasonable prices which you can blend together with massage. 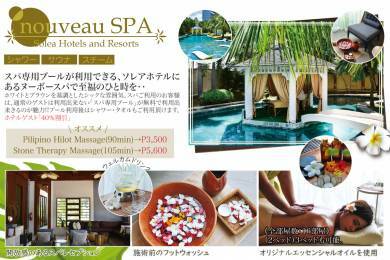 After introducing hotel spa and some other spa in town, we acquaint with spa’s in Mactan that are very easy to access. The price is lower than the previous spa mentioned and very suitable so you can have more option into where to take a very tranquil massage. 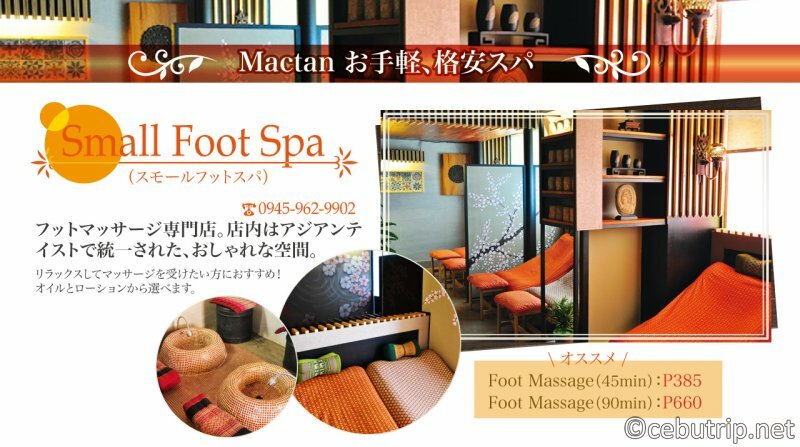 Foot massage shop. The shop has a stylish space unified with Asian taste. 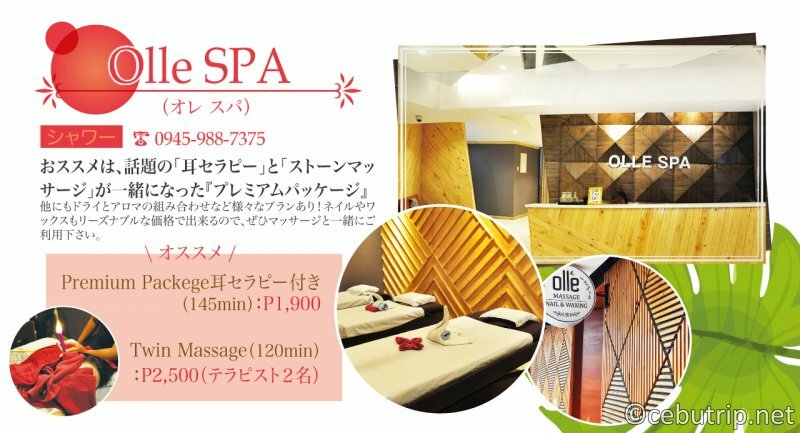 Recommended for those who want to relax and get a massage on foot! You can choose from oil and lotion. 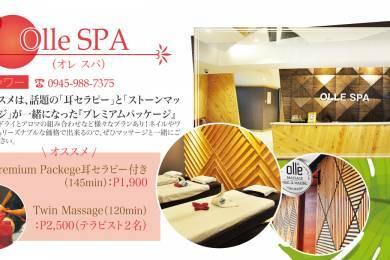 Recommended by Small Foot Spa! Cheap town spa at the intersection of Marigondon street near Plantation Bay. 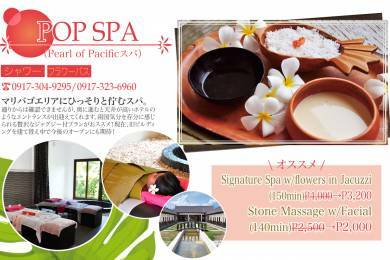 This Thai massage spa is very famous to both foreign and local people. 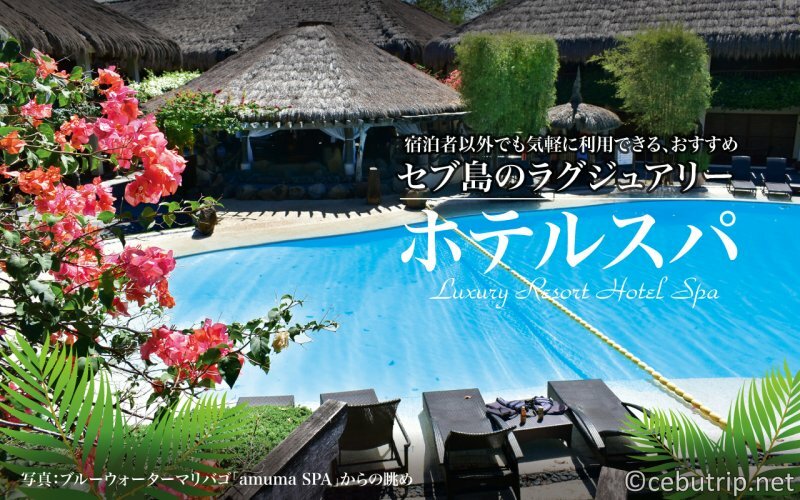 A lot of the local people knew about this spa and it is known for being affordable yet revitalizing health resort. If your hotel is near to this spa, the transfer is very possible. How was it? There should always be your favorite spa massage shop! 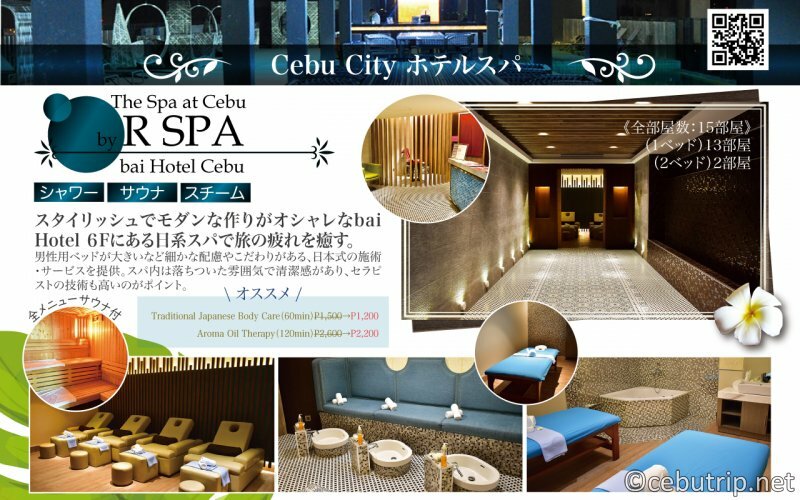 There is also a shop where you can make reservations directly from the Cebu Trip site. 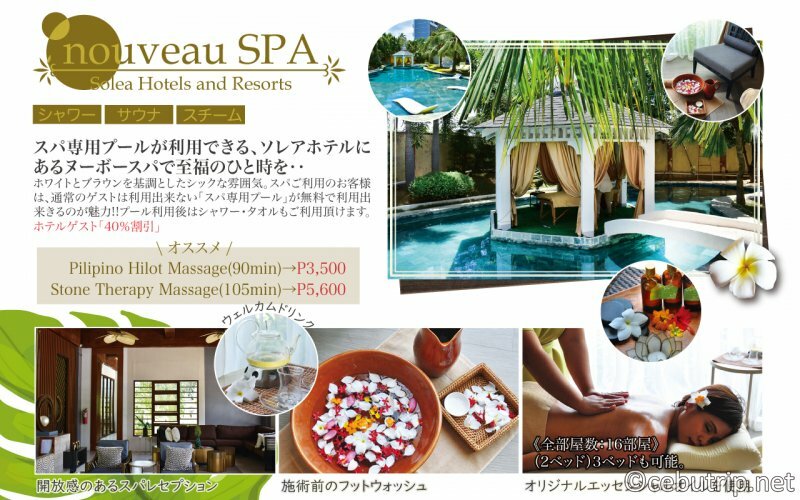 To check the pages of the spa CLICK HERE!